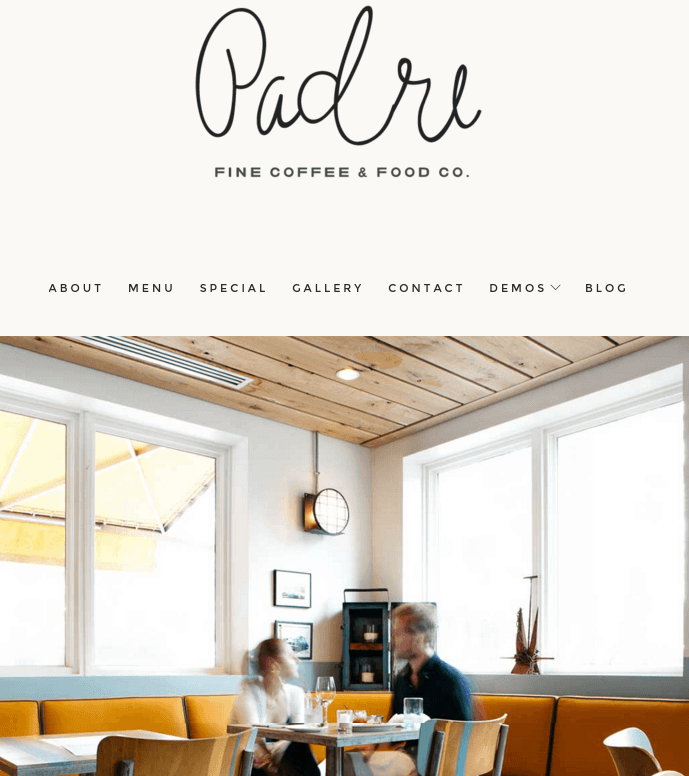 Padre is a simple WordPress theme built for cafes and restaurant websites. It is a well documented theme that will guide you in building site with it, also it is responsive and retina ready hence it can easily adapt devices ranging from desktops, laptops, tablets, mobile phones to iPads and iPhones. On activating this theme you get theme options panel which has lot many powerful settings to choose and customize site with few clicks without any knowledge of programming. Pages are fullwidth pages or say pages with no sidebar. It is translation ready theme with WPML compatibility. It has sticky header menu. It supports toggle map and 4 column grid layout for gallery.